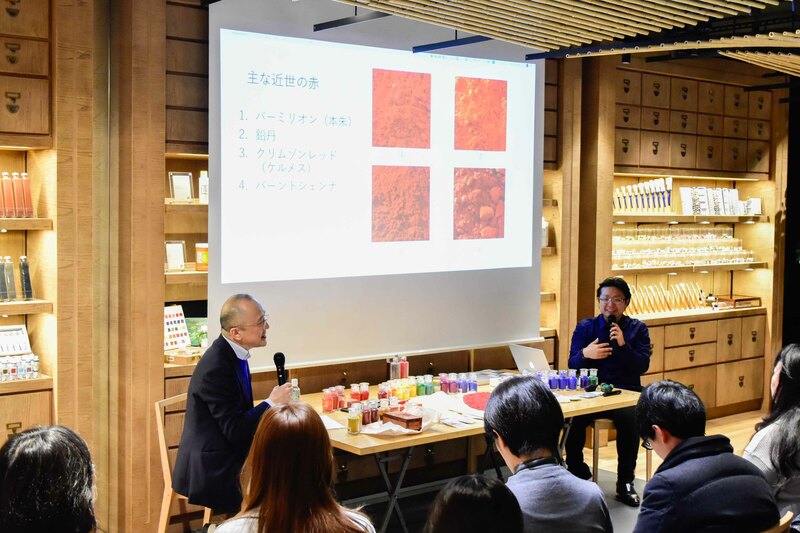 A series of talk sessions titled “PIGMENT COLOR PHILOSOPHY” is hold at PIGMENT TOKYO, where we invite specialists from a wide range of field to learn aesthetics thinking. 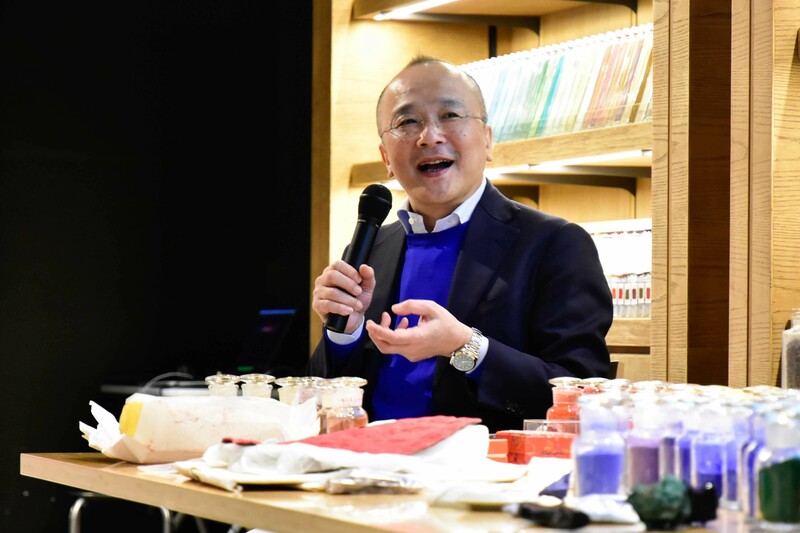 This time, we invited Goro Yamada, an editor and a critic who is playing an active part in various media, to talk about art history through colors and materials. The event started with huge applause by the audience. “I promise I won’t make all of you disappointed tonight”, said Mr. Yamada. Base on the theme of “story of colors through art history”, we will explore the very familiar colors, red, blue and yellow, using the famous paintings as example. The talk started off with the color “red” in an early modern period. Mr. Yamada explained 《the Madonna of the Goldfinch》by Raphael. After that, the chief Iwaizumi introduced the story behind the birth of vermillion. Moving onto the next color, blue. As you have probably heard of the name “Ultra Marine”, this color is used in《Madonna of the Thumb》and is closely related to the religious image of Virgin Mary. We explored the color “blue” in different viewpoints, from the art history to the material science. Followed by red and blue, the talk moved onto the color “yellow”. “Yellow is kind of a misfortunate color in western art history”, said Mr. Yamada. This is because yellow symbolizes the Judas Iscariot in western art. In Europe before the rise of Christianity, however, yellow was used in a different way. In this part of the session, using 《the Villa of the Mysteries》 as an example, we learned about the chemical reaction in color caused by natural phenomena. 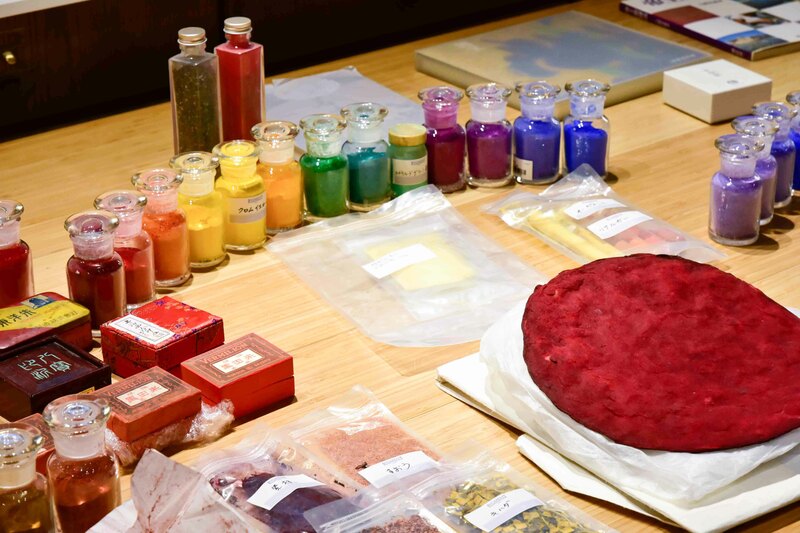 Red, produced by pure accident, blue as a symbol of Virgin Mary and yellow produced by natural phenomena….Even the simple “primary colors” have various background and deep story behind them. The next talk was about the color in the modern period. Because of the advance the science and technology and the invention of portable paint tubes, artists did not have to make their paints by themselves anymore. Also, in addition to the original pigments made of natural rocks, they were able to create bright colors produced by chemical synthesis. Mr. Yamada and the chief Iwaizumi talked about such interesting correlations between the advance in technology and the history of art. The invention of paint tubes also contributed greatly to the development of abstract paintings. The《Impression III》 by Kandinsky is a good example that used the fresh vibrant paints. In this part, using the same work by Kandinsky, which expressed the emotion of the Schoenberg’s concert, Mr. Yamada explained the genealogy of abstract paintings. Lastly, we had a talk about the color in the contemporary era. In the later half of the 20th century, the color plays as a symbol of the artist himself. The best example is the “International Klein Blue” by Yves Klein. 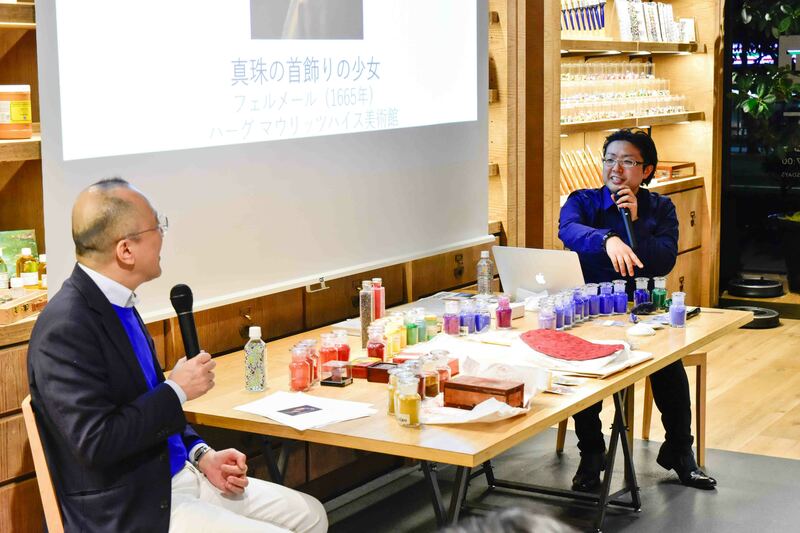 His work may be profound, but based on the lucid explanation given by Mr. Yamada, many of the audiences were taking notes and listening intently. 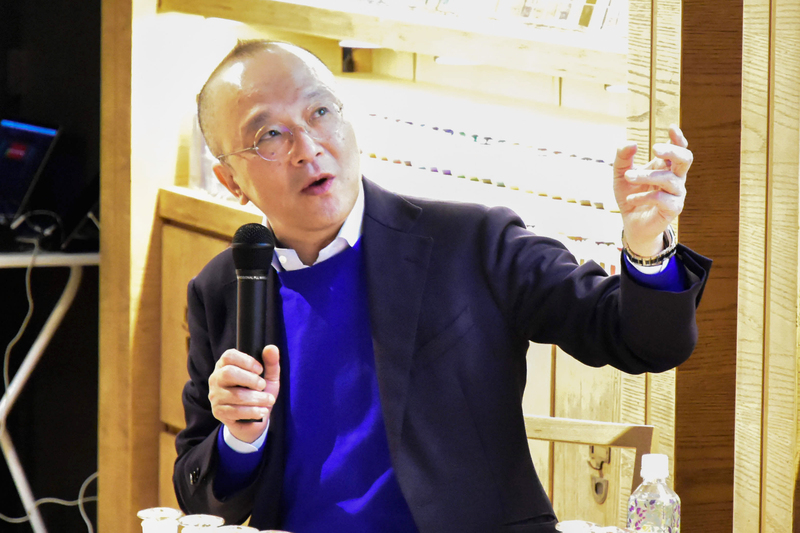 Also, Mr. Yamada was wearing a blue top associated with the color “International Klein Blue”, which showed his passion towards Yves Klein. 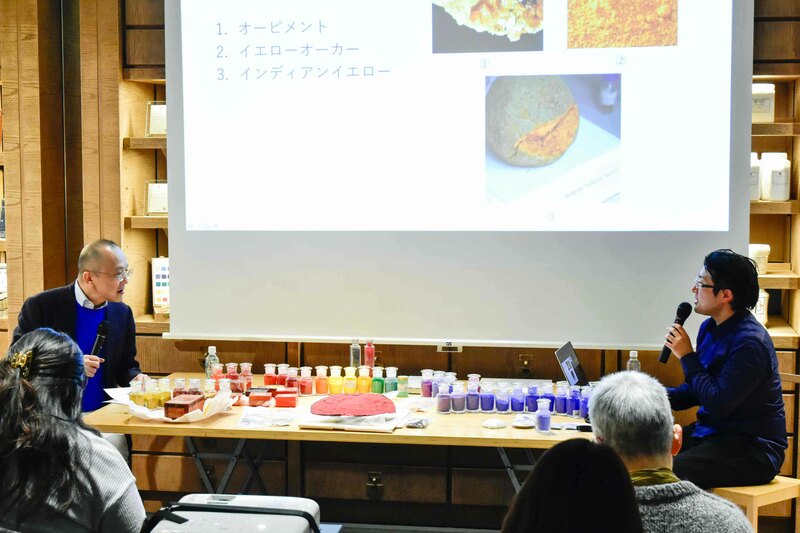 After the talk, chief Iwaizumi introduced the true “International Klein Blue” and other rare, precious pigments. 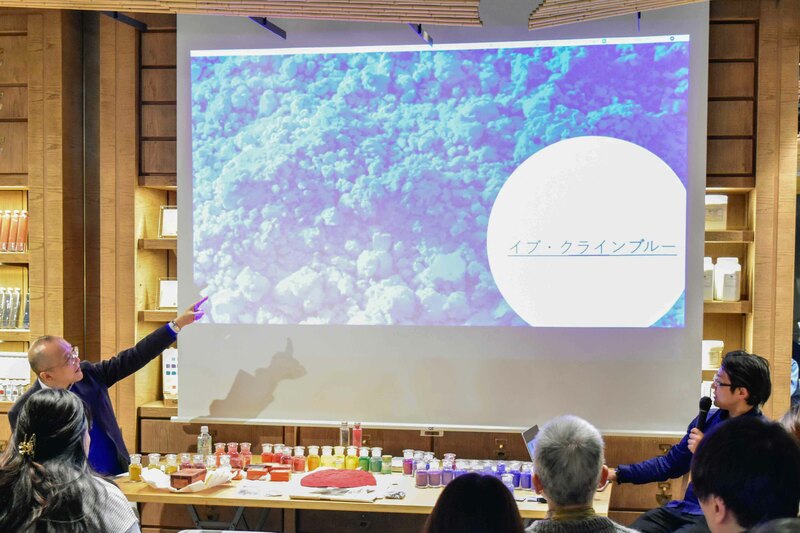 By having a chance to hear the various stories regarding the “Color”, we believe that all audiences had an unforgettable experience during this event. Born in 1958 in Tokyo. Studied western art history in University of Salzburg while he was in Sophia University, Tokyo. Started working as a freelancer after working as an editor of 『Ｈｏｔ－Ｄｏｇ　ＰＲＥＳＳ』, Kodansha Ltd. Currently, he writes and gives lectures in a wide range of fields, such as watch, western art history, and urban planning. 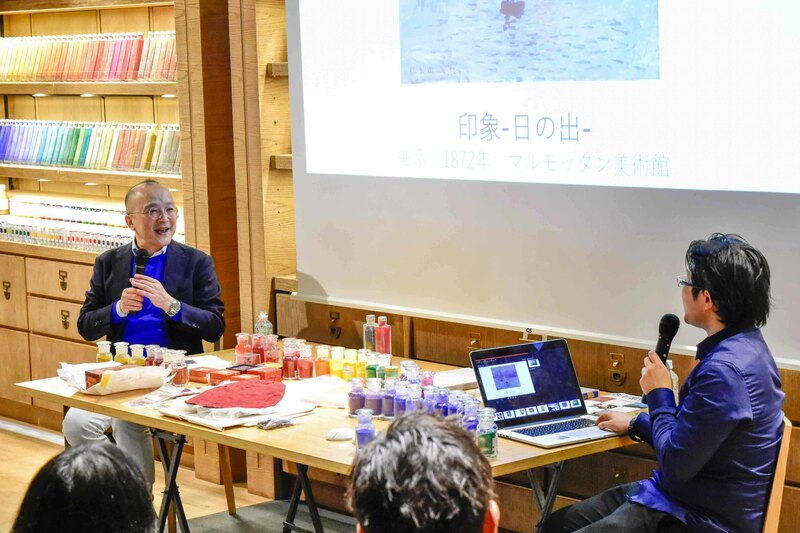 Chief / Art Materials Expert of PIGMENT TOKYO Doctor of Fine Arts at Kyoto University of Art and Design Instructor of Japanese Style Painting Course at Kyoto University of Art and Design Received a Ph.D. with a dissertation about animal glue method from Kyoto University of Art and Design in 2015. 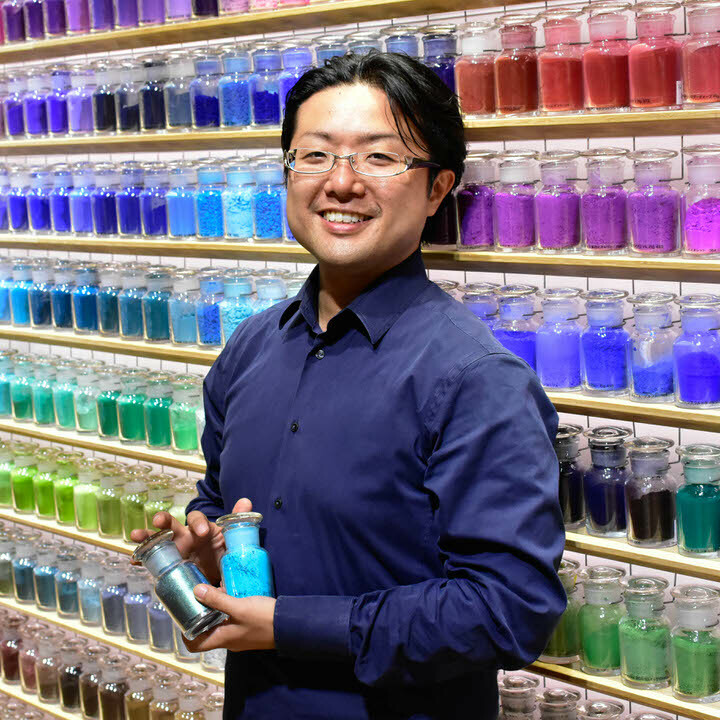 While researching and instructing art materials at PIGMENT TOKYO, he also creates art works reflecting his philosophy of material existence. 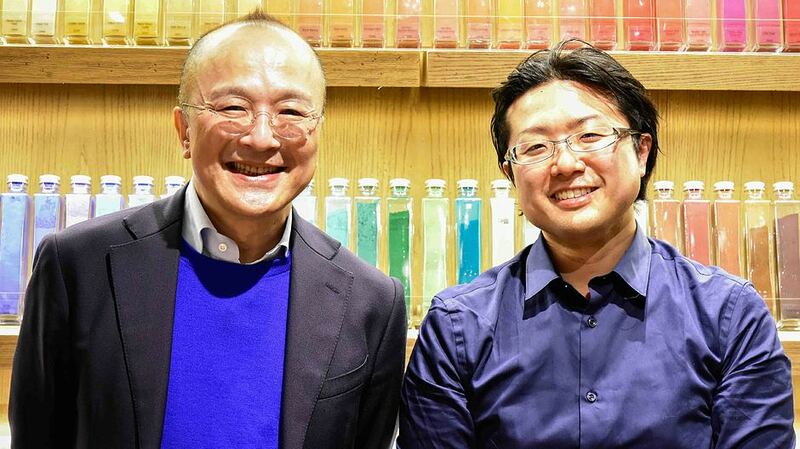 Spring has Come Early to PIGMENT TOKYO.